Our vision is to reach the lost; to proclaim Jesus Christ as Savior, Redeemer, Sovereign God and Lord; to share His love, His grace, His mercy, His hope, His joy, through His inerrant Word in obedience to His Great Commission, to His glory alone. 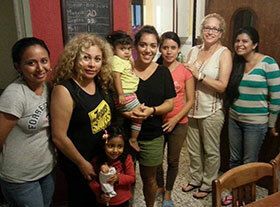 During an assessment trip last October to El Salvador, Safe Harbor had the opportunity of ministering to and identifying the needs of single mothers and their children living in a home called Lupita's Hope in the heart of the country's capital, San Salvador. While there, the team also had the chance to visit two rural villages, located in the cities of Suchitoto and San Julian. The unfortunate reality for the majority of youth living in these underdeveloped villages is that many cannot afford to continue their education after the 3rd cycle primary (equivalent to 6th grade in the USA). As a result, this leaves young boys subject to gang involvement (increasingly prevalent) and young girls left to take on "parental" responsibilities of the home. Alongside Lupita's Hope, Safe Harbor has also identified a soon-to-be launched program that will help meet the educational and spiritual needs of the youth living in these rural communities. For the young girls, the program's objective is to develop their education, physical well-being, and spiritual discipleship. For the young boys, Safe Harbor is focusing on establishing a "leadership" program that will mentor them in the challenging pursuit of becoming Godly men. The entirety of this ministry is founded on the irrevocable truths of scripture that Christ has uniquely made and purposed each one of their lives for His glory and to bring hope, empowerment and growth through the knowledge of Him as their Savior. Join Safe Harbor this May as a team sets out to continue working alongside both ministries and prepares to launch the youth program! If this is an outreach you feel called to be a part of, please contact our Operations Outreach Director, Alex, at alexandram@safeharbor.us. For the last three years, Safe Harbor has been actively involved in teaching students English and Biblical studies in Kawangware, Kenya. SHI's Literacy Program Director, Winifred Kiunga, has taught multiple levels of English to hundreds of poverty stricken individuals over each semester. This program fulfills a need for literacy training and continuing education in the impoverished community as many of the adult students come from areas facing social and economic challenges. Each semester, Winifred shares student's testimonies of how their lives are impacted by the program and above all, the Gospel. By God's grace and through His provision alone, Safe Harbor has been used to transform communities from crisis situations that were seemingly hopeless to thriving communities that have been changed by the gospel of Jesus Christ and the service of His people. Listed below are countries where Safe Harbor has stayed and responded to crisis for a period of more than 5 years. 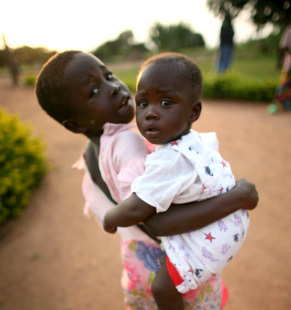 Safe Harbor International has been active in North West Uganda since the mid-90's, when the migration of Southern Sudan refugees resulted in a cholera outbreak. Beginning with a doctor and a nurse, we have seen a growing church, health care program, school, and agricultural project develop. 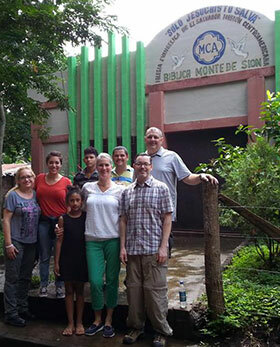 Calvary Chapel Midigo has since become an independent NGO in Uganda, and is taking on the responsibility to fund and implement the ministry, education, and health programs. 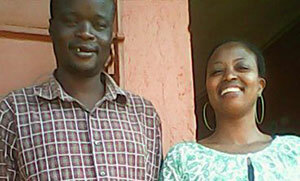 We are grateful to the Lord for the fruitful years of ministry and for contribution of many, many partners. God has truly performed this wonderful work. Vibrant church plant- over 200 members committed to growing in the truth of the gospel. This growth led to two more church plants and is now considered a ministry hub for training, discipleship, and sending. These churches now operate as independent Calvary Chapels. Clinic health services- expanded into a fully operational hospital focusing on women, children and other vulnerable persons, serving nearly 30,000 patients per year. 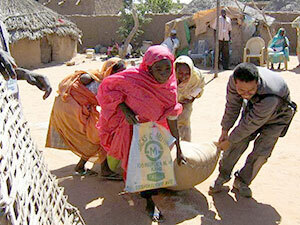 We specialized in maternal and infant care, HIV / AIDS, mobile medical care to remote areas, and surgical operations. Education program- offering high quality, Christian academics to over 100 Primary school students in 2011 from nearby church, non-Christian, and Sudanese families. Calvary School doubled in enrollment in one year, and is working towards expanding educational services through secondary school. 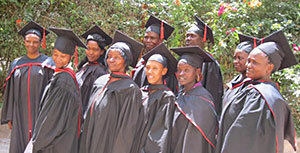 The school has since become independent under the guidance of Calvary Chapel Midigo. Agricultural project- contributing to Project Midigo's local sustainability while providing jobs, training, services, and further outreach to the local communities. The community gave us 117 acres for this project. Safe Harbor sends short-term missions teams to work alongside our local partners in ministry outreach and training through Behold Your God Missions and Outreach. Behold Your God missions' pursuit is two-fold: First and foremost, we are driven by a passion to have the name of God exulted among the nations. Secondly, we desire to expose people to the blessed privilege of worldwide missions in such a way that they aspire to live their lives in one accord like Paul who, when faced with persecution, said in Acts 20:24, "none of these things move me; nor do I count my life dear to myself, so that I may finish my race with joy, and the ministry which I received from the Lord Jesus, to testify to the gospel of the grace of God." 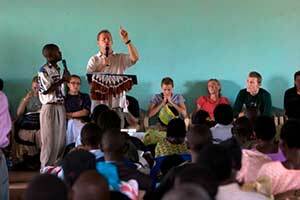 Interested in Behold Your God Missions? Pray about whether God may be calling you and your church to serve alongside one of Safe Harbor's projects. Contact us at Info@SafeHarbor.us or 949-858-6786 so that we can give you more information on potential opportunities to serve. We meet with your church leaders to discuss how we can match opportunities with the gifts and passions of your church members. 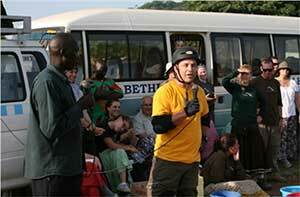 Confirm trip dates and ministry objectives. Get your team together and prepare trip details. ACCR is a network of churches that are committed to encouraging the Church and proclaiming the Gospel with those who are suffering from global crisis, such as famine, earthquakes, war and disease. Formed by Safe Harbor, ACCR is an operational coalition consisting of church leaders and volunteers to be the strategic lead of its global response initiatives. We believe that it is Safe Harbor's responsibility to come alongside the Church when it comes to ministry, and not the opposite. While churches often desire to serve those in crisis overseas, the necessary contacts, training, and expertise to carry out and manage the complexities of international work are oftentimes too burdensome. With over 15 years of international relief and development experience, it is our passion and calling to serve the Church through our expertise and guidance. We would love to hear from you if you are interested in finding out more or if you'd just like to be notified of any opportunities to serve together in the future. Please contact us for more information on how you and your church can get involved at 800.797.HOPE or Info@SafeHarbor.us. Safe Harbor exists to serve the local church in proclaiming the Gospel of Jesus Christ and in serving the poor, with an aim to develop leaders with sound theological training. In the past, Safe Harbor has entered regions where an evangelical church does not exist and therefore, church planting efforts were initiated. 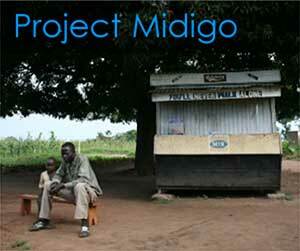 This model has been best exemplified through Safe Harbor's church plants in Midigo, Uganda during Project Midigo. Safe Harbor places an emphasis on developing the leadership of indigenous churches around the world, and provides pastoral training through conferences, Bible teaching, and literature distribution. 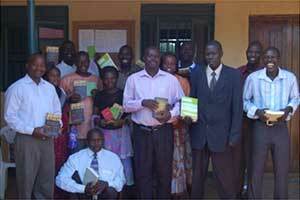 In 2010, Safe Harbor partnered with Desiring God's International Outreach to provide literature to pastors and other ministry leaders in Uganda.